With the fourth entry in our series on getting the most out of your mattress, we tell you why giving support is just as important as receiving it, as well as why, as a mattress-owning individual, you shouldn’t be sleeping on the floor. Just as you expect support from your firm mattress, a mattress should be able to expect a degree of support from you. Be it a box spring, a platform frame or bed slats, having a support system, and one that’s right for your bed, will help retain proper support for years to follow. 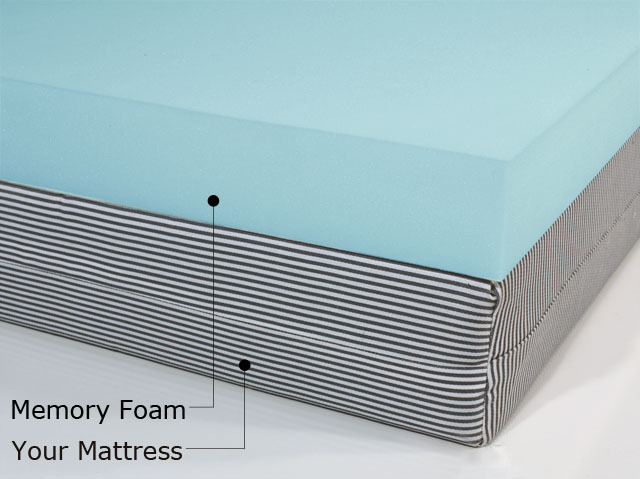 With the pressure and weight a comfortable mattress carries every day, it also needs a degree of support to maintain structural integrity over its expected lifetime. A poorly supported bed can bow and sag under its occupant and when placed on the floor, areas supporting the hips and shoulders can’t relieve downward pressure, creating a push back into the user. Every mattress, even with a box spring, should have support that runs across the outer edge of the frame as well as across the body of the mattress. Many mattresses can be supported properly with only head, foot and midsection cross-beams. Properly balanced support is even more important in heavier innerspring mattresses where the weight of the mattress alone can cause bowing. Just using a box spring helps absorb and dissipate the movement and pressure a mattress must endure from its user. Physically keeping a mattress off the floor, even if you prefer a low bed, is very important as well. Simply being farther away from dust and dirt on the floor improves your air quality while you sleep. One solution to that is a platform queen bed or any other bed size, as this setup doesn’t require a box spring. This bed style has a low profile, and even though they go directly on the bed’s base or slatted frame, a platform mattress isn’t any different than any other kind of mattress. They can even be built to be storage beds to boost their utility. Keeping a bed off the ground, even by a little, makes it more difficult for possible vermin or insects to access you and your bedding. It isn’t a pleasant thought, but it is a reality in some places. Utilizing an elevated support system also provides another benefit, one that people rarely realize until it’s too late. As stated in our first tip, moisture from your body and the environment can be harbored in a mattress. By using a bed frame system that allows airflow under the mattress, you are helping with the drying process, keeping your mattress usable longer. Some people who have placed mattresses directly on the floor have gone to flip or reposition them only to find mold and mildew growing on its underside. This can be a result of a handful of factors, but one of the most typical is that mattresses do not have an opportunity to air out when resting directly on the floor. In some homes, moisture can even be drawn out of the floor depending on the environment and conditions present in the building. For basic health reasons, these mattresses must be disposed of. Using a supportive frame, even a very low one, can permit the necessary airflow under your bed to prevent it from retaining moisture and rotting out from underneath you. Because that’s not something we would want, is it?